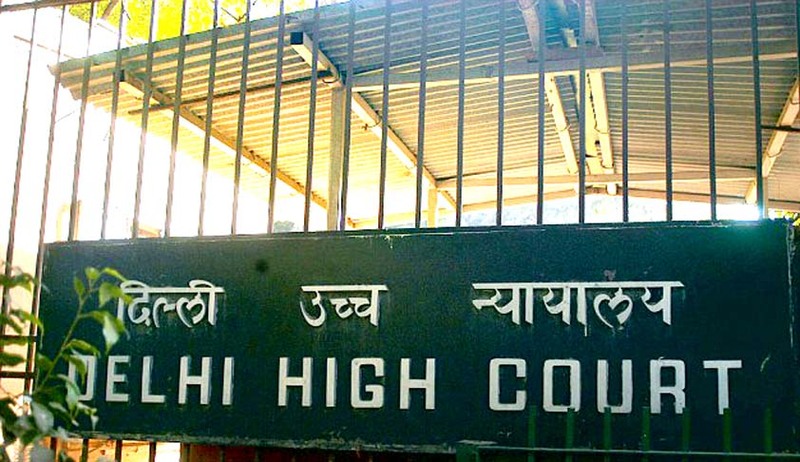 It is the duty of every trial court to ensure that the defence of an accused is not compromised in any manner, the Delhi High Court has observed, while hearing the appeal of an accused who has been languishing in Tihar Jail for nearly eight years on murder charges without getting a fair trial. Over this period, the mental health of the prisoner has also declined due to melancholia. The petitioner, Subhash Bhardwaj, was arrested in 2008 on murder charges and since then he is in jail. Because of his penury and, hence, inability to afford counsel of his choice, he was given legal aid from the Legal Services Authority to defend his case. However, the counsel did not turn up on the dates of examination of all important witnesses. Finally, his appeal, filed with the aid of the jail authorities after a delay of over four years, was taken up by the High Court. The court made the observation that the trial court did not perform its duty; instead the process continued as it were ex-parte proceedings, which was a mistrial. Even the copies of the records were not supplied to the counsel, the High Court observed. Finally, without a fair trial, Subhash Bhardwaj was convicted and sentenced to life imprisonment by the trial court. (i) The judgment dated 23rd September, 2011, is hereby set aside and quashed and as a consequence the order dated 24th September, 2011, shall also stand set aside. (ii) IHBAS shall place the report in terms of order dated 2nd August, 2016, and the foregoing directions before the District and Sessions Judge, Rohini (Outer), Delhi concerned with the case arising out of FIR No. 350/2008, PS Prashant Vihar who shall send the same to the appropriate court seized of the matter. (iii) The Director, IHBAS, shall keep the jail authorities informed of the period for which the appellant may be required to remain admitted. (iv) A direction is also issued to the Superintendent, Central Jail Tihar, to facilitate the admission of the appellant in custody in the IHBAS as requested by the letter dated 18th August, 2016, and to make the necessary arrangements for deputing the security guard as per rules. Intimation shall be sent by the jail to the family member of the appellant to accompany the patient to the IHBAS. (v) The trial shall be scheduled after the trial court receives the report from IHBAS and completes its inquiry under Section 331 CrPC. (vi) The matter shall stand remanded to the trial court for further proceedings in accordance with law. The trial judge shall ensure that effective legal aid counsel is provided to the appellant for conducting his defence and effective opportunity is given for cross-examination of witnesses who have not been cross-examined for any reason in the past. (vii) Needless to say, in case after the inquiry as directed above, the trial court concludes that the appellant was not of sound and disposing mind on the date of commission of offence or in accordance with Section 331 of the CrPC, appropriate orders in accordance with law shall be passed. (viii) A copy of this judgment shall also be sent to the appellant through the Jail Superintendent. (ix) The trial courts shall notify the Member Secretary, Delhi Legal Services Authority, as well as the Director General of Prisons, Tihar of any accused prisoner who is held to be suffering from mental sickness and shall send a periodic report of all major steps in the case to enable them to ensure proper legal aid and assistance as is needed. (x) The Member Secretary of the DLSA and the Superintendent, Central Jail shall explore the possibility of maintaining a central register/record of all cases and monitoring of filing of appeals by all convicts, whether requiring legal aid or not and ensuring that the right of the prisoners are not compromised in any manner. (xi) A copy of this judgment shall be sent to all District Judges who shall circulate copies to all courts in their district for compliance. (xii) A copy of this judgment also be sent to the Member Secretary of Delhi Legal Services Authority as well as the Director General, Prisons, Tihar (through its Superintendent) who shall submit a report of compliance of these directions to this court within a period of six months from today. The court also held that it is the constitutional mandate and the statutory duty of every criminal court that the accused is ensured fair and effective legal representation. No exception is permitted nor is acceptable. It is important to mention here that in Madhav Hayawadanrao Hoskot vs. State of Maharashtra, the Supreme Court has emphasised the importance of proper legal aid by experienced lawyer and in T Suthendraraja and Another vs. State of Tamil Nadu and Ors, the High Court of Madras awarded reasonable fees to the lawyer appeared for one of the accused in the Rajiv Gandhi assassination case, from the State brief, as the fee fixed by the Legal Aid to Poor Accused Rules of 1976 was very meager. In yet another case the High Court of Madras (Martin @ Tamilselvan and Ors. vs. State by The Deputy Superintendent of Police, Q Branch CID) held that the more serious the likely consequence, the greater is the probability that a pleader should be appointed. The court should also consider individual factors peculiar to each case, as the right to defense includes the right to effective and meaningful defense at trial and poor accused cannot defend effectively and adequately.